Used to connect the imitation paper. I can write letters from above, and I will be useful. Not noticeable. This review is about item#2277178. When it is used as a temporary fixation or as a sticky note, it has stronger adhesive strength compared to Scotch products, and it is easy to remain on the adhesive. It is difficult to cut by hand. It is a pity that it is easy for you. It is convenient to use for masking sandblasting recently as well as office and sealed seal. It can be used for masking blasting because it is easy to peel off moderately on the metal surface. This review is about item#2277205. I use it instead of cellophane tape. This review is about item#02277205. Since it is a free shipping site with over 3000 yen, if there are various hands, it will be saved as an amount adjustment. If you think as free shipping it is the lowest price. This review is about item#2277196. I could not cut with a plastic blade dispenser, I felt it was harder to use than other manufacturer's. Although handcrafting is good, I think that if you improve so that even pla blades can be cut, I will purchase again. This review is about item#02277178. Compared to major products, it is difficult to cut. 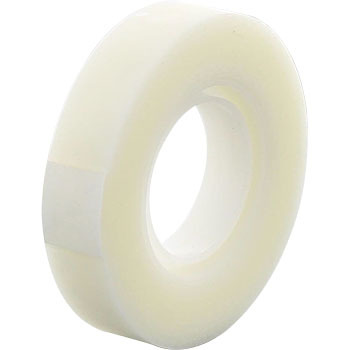 (Whether it is thicker than major products) It is used in a very general tape dispenser. I bought it for Refill made by Scotch, but when I use it attached to a plastic tape cutter, the tape is durable or it is very bad with the tape cutter. This review is about item#2277187. It is simple and cheap, but it satisfies the requirement that it can write letters from the top of pasted, and I am satisfied. Used as packing tape for electronic parts. I think that there is no difference in quality compared to the manufacturer's products. This review is about item#02277187. Lamination of copy paper etc. This review is about item#02277196.